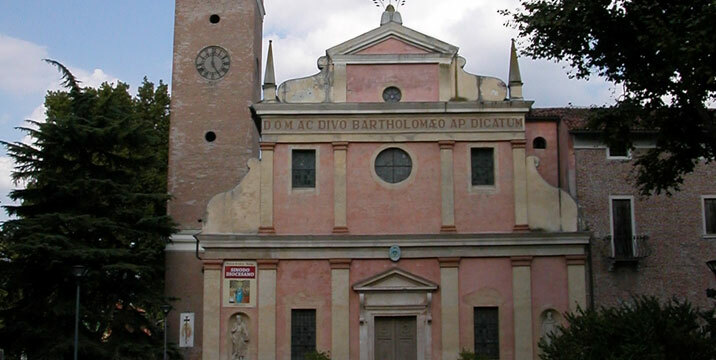 The Church of San Bartolomeo and monastery are located in the heart of the ancient San Bortolo district; the first news of the presence dates back to 1254, when a certain Friar Paglia obtained consent from the bishop Guglielmo d’Este to build a church in honour of the blessed Apostle Bartolomeo. The present church was begun in 1562 and between the 1600s and 1700s other expansions and renovations of the building took place. 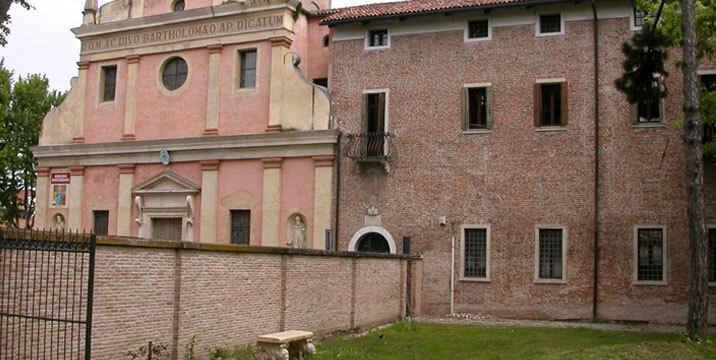 The stucco was completed, the floor was reconstructed and a second cloister was built. The interior is home to two marble angels placed at the sides of the altar carved by the Flemish Giusto Le Court, a pupil of Bernini; the paintings dating from the XVII and XVIII centuries are of considerable importance, as is the precious organ dated 1767 by Gaetano Callido. At about 600 meters from the gate entrance of San Bortolo, lies the ancient Olivetani monastery of San Bortolo, founded in the XIII century by the Umiliati who were dedicated to the processing of wool, who occupied it until 1436. In 1444 the monastery was entrusted to Bartolomeo Roverella, but it was another member of the noble family, Nicholas, to restore the convent entrusting it to the monks of his order, the Olivetani. So in 1480 the new cloister was built, surrounded by 12 rooms and, in 1562, the reconstruction of the church also began. 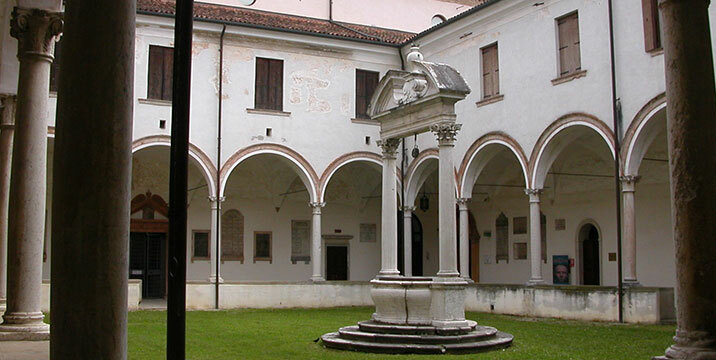 Of particular interest is the cloister of the 1500s located at the entrance of the monastery, probably the work of Biagio Rossetti and, in the centre, a magnificent wellhead attributed to Sansovino. With the arrival of the French in 1797 the monastery was closed, sold to private individuals and then transferred to the City in 1844 that turned it into an asylum. In the last decade of the 1900s the complex underwent a thorough restoration and has become a museum. After a radical renovation of the entire building complex, the Museum of the Great Rivers opened in 2001. The exhibits trace the evolution of the social structure of civilizations and of communities born on the banks of rivers that characterise the Polesine territory, recounting the analogies of the evolution of other European populations that originated and flourished along the banks of major rivers. The archaeological collection contains mainly artefacts found and collected in different years in Middle and Upper Polesine and archaeological artefacts documenting the history of Polesine from the Bronze Age to the Renaissance period. The old dormitory and the monks’ cells are home to the realistic natural settings, virtual reconstructions, the monumental installations and showcases housing archaeological finds. The exhibition features reconstructions of discovery sites, and life-size exhibits that reproduce the houses, clothing and activities during the era presented. For the Bronze Age artefacts are included from excavations (Larda of Gavello and Zanforlina Pontecchio) and part of the collections of the surface and excavation finds conducted at Frattesina (settlement and necropolis). For the Iron Age (V cent. BC) the artefacts are from Balone near Rovigo (necropolis and settlement), San Cassiano (village) and artefacts recovered from surface finds in the territory of Gavello. The collected relics from Roman times, including a particularly large collection of artefacts found over a period of ten years of excavation (1990-2000) in the municipalities of Gaiba and Ficarolo, should not be underestimated. 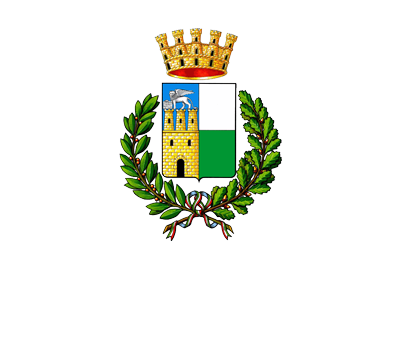 Also important is the collection of ceramics dating from the XIV – XVIII centuries, the result of excavations that have been conducted since 1965 and coming from the Middle – Upper territory of Polesine and from the urban area of Rovigo. Visitors will learn of aspects of domestic, social and religious life of the most ancient periods of the history of Polesine, in the general view of Italian and European cultures of the same eras.